Estimated pickup date TBD: These Saskatraz queens will arrive the same day that we bring the packages. In the case this item is sold out, please click “Join Waitlist” and provide an email. 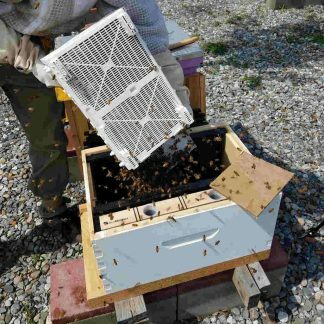 If we can bring more bees we will send you an email notification as they become available. We will only bring queens once this season. Pick up only. We do not ship live bees. 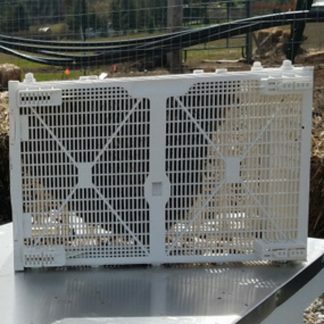 The queen will be marked at no extra charge (in the case of bad weather during queen production, we may have to provide unmarked queens). Saskatraz hybrids are produced in Northern California (Orland area) exclusively by Olivarez Honey Bees using Saskatraz breeder queens constructed in Saskatchewan, Canada by Meadow Ridge Enterprises (Breeder and CEO, Albert J. Robertson). A detailed review of the Saskatraz project (established in 2005) including breeding methods, published research articles, powerpoint presentations and information on individual breeding families, including Saskatraz hybrids can be found at www.saskatraz.com. 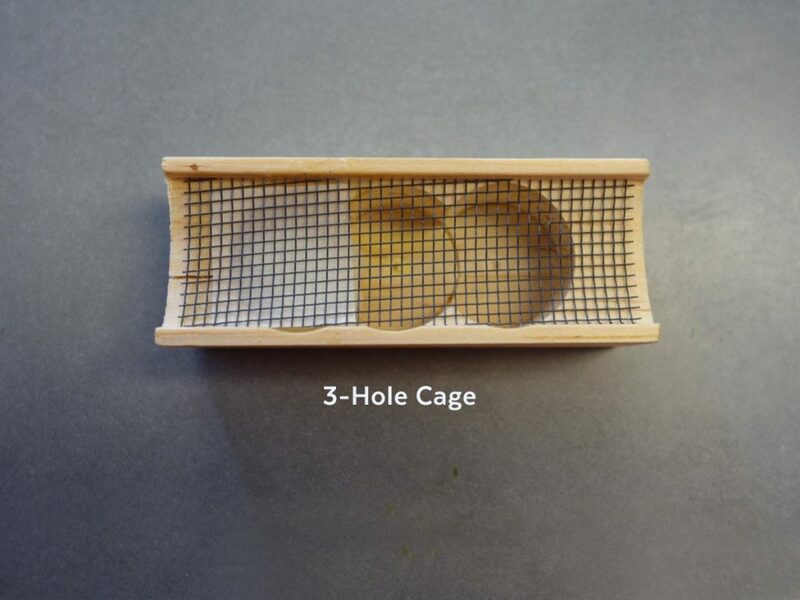 Saskatraz breeder queens are selected for honey production, wintering ability, temperament, tracheal mite resistance, varroa tolerance/resistance and brood diseases. The Saskatraz breeding program uses recurrent natural selection to select for varroa tolerance in productive colonies with good economic traits. 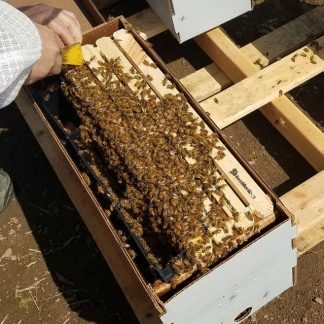 Saskatraz hybrids are being produced in Northern California using virgin queens from diverse families of Saskatraz breeder queens and open mating them with unrelated drone populations in the Orland area. 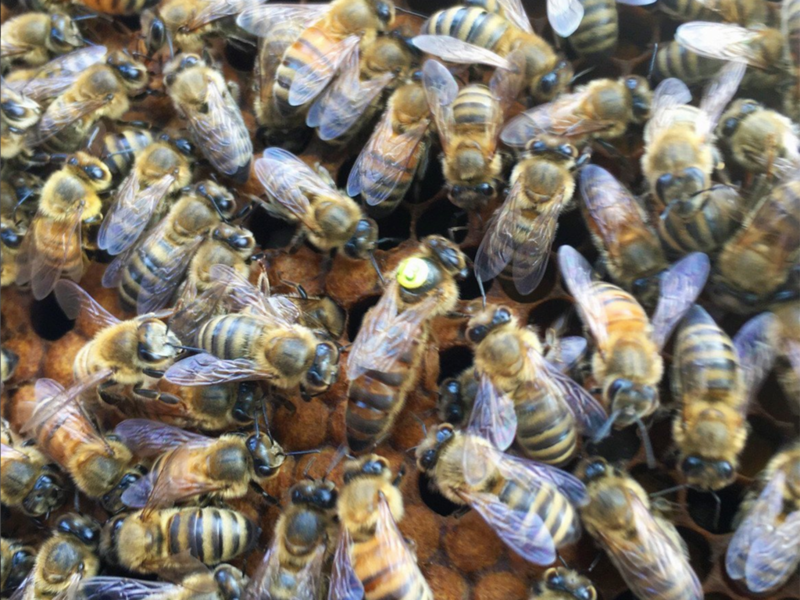 These queens produce colonies with genetically diverse workers. 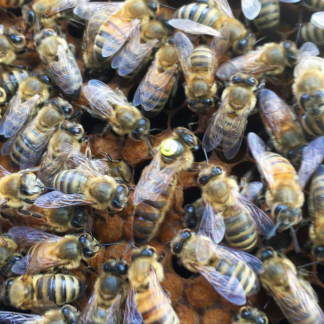 This diversity results in increased vigor and analyses of hybrid queens in Canada is showing fast spring build up and increases in honey production. Attention to fall stores for wintering and in the spring is necessary.